Great value. Vinyl siding is popular because it provides versatility and durability at a reasonable cost. 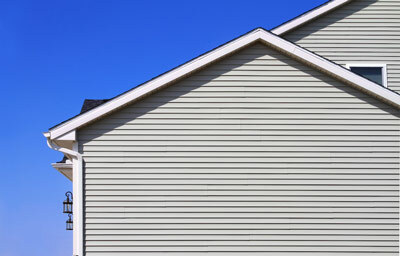 Vinyl siding is the most popular and common siding choice, vinyl, and steel are all among the options homeowners have. At Arrow Renovation, we will help you find the best siding material for the look you want to achieve and give you an expert installation with high-quality products. We offer free estimates on all our work in Kansas and Missouri, so call us today at 1-855-251-7315 or click below to get started on your home siding upgrade. Transform your home. 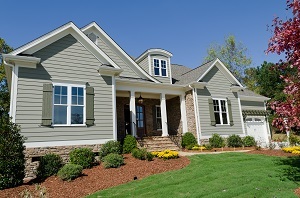 Siding can completely change the look of your home and boost curb appeal and property value. Seamless steel siding: For durability and longevity, it's hard to beat steel siding. Steel provides excellent weather, dent, and scratch resistance, and it won't be harmed by fire or insects. Steel can be used as a standalone material to create a modern look, or it can be designed to mimic the appearance of materials such as cedar siding. Steel can be on the pricier side to install and doesn't offer as many options as some other materials, but it makes up for these flaws with unmatched durability. Vinyl siding: Vinyl siding is the most popular residential siding material, providing excellent affordability, durability, and versatility. Vinyl is very low maintenance and easy to clean. There are a wide variety of colors and styles to choose from, so you can design just about any look you can think of your home. Even better, vinyl can be made to match the appearance of materials such as cedar shingles. At Arrow Renovation, we understand the challenges of finding the right siding material for your home. Our trained professionals will work with you to ensure that you get exactly what you need for your needs and for the appearance that you are looking to achieve. New siding offers great benefits for your home, so don't wait to call us for an upgrade! We offer free estimates on all our siding installations and other exterior improvement services in Prairie Village, Leawood, Lansing, Less Summit, Olathe, Overland Park, Shawnee, Lenexa, Raymore, Kansas City and the surrounding areas.